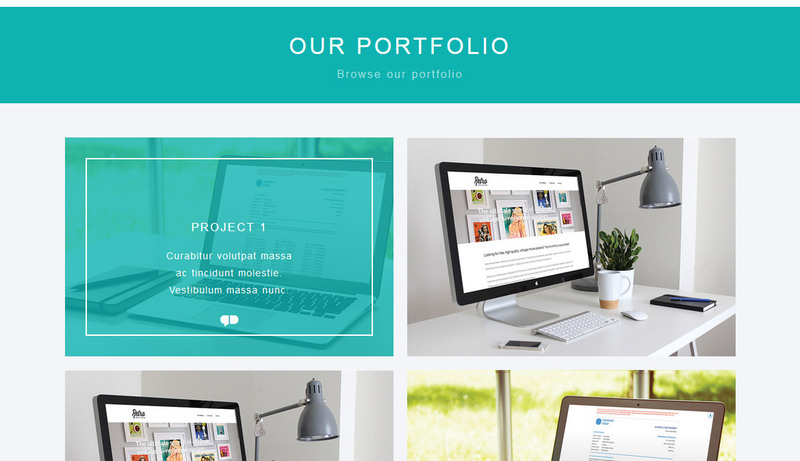 Today we will create a single page template for our portfolio. As you know, your own portfolio has always been an important attribute for almost everyone. As a rule, they emphasize the character and originality. It describes the strengths (and sometimes weaknesses) features. It is quite important to show originality. Sometimes such sites known as business-card websites. Typically, such site consists of one (sometimes more) page. 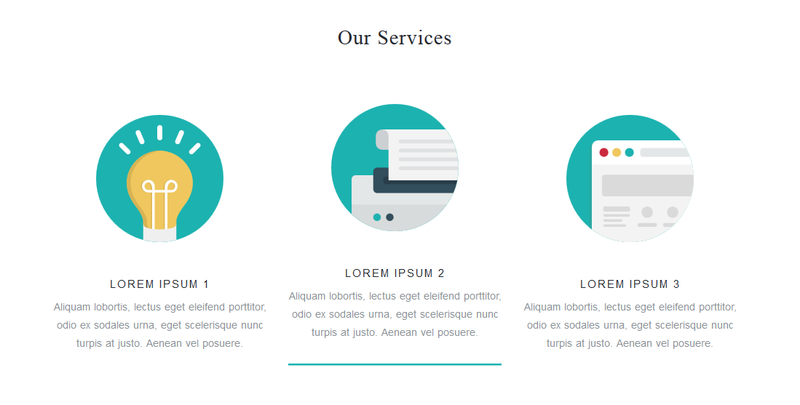 Today we consider creation of a page that consists of the following sections: header (logo with menu), promo section with slider, main content section with popup feature, about us section, contact us section with popup form, address section with google maps and footer. 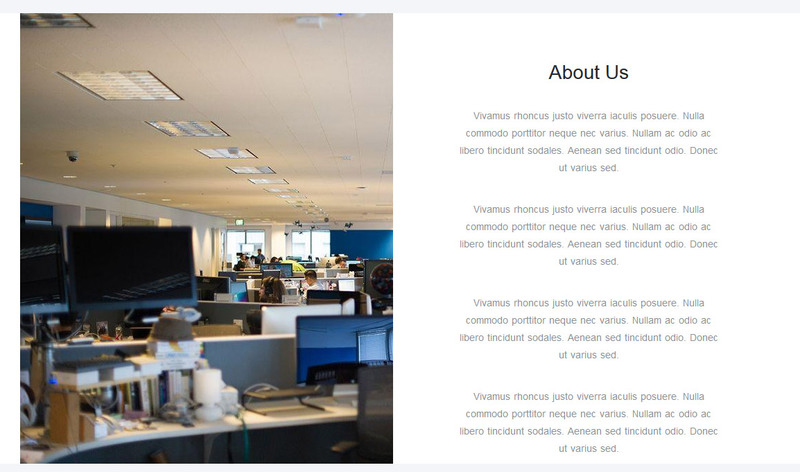 As a framework that will help us in the layout, I decided to take Bootstrap (v3). Also because it has native support of responsiveness. As you know, in accordance with the recommendations of Google, the sites need to be responsive. This section consists of two parts: ‘Our services’ and ‘Our portfolio’. 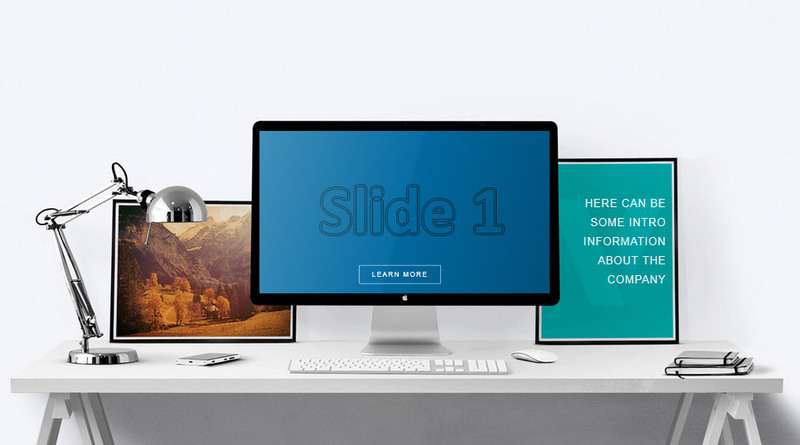 When you move the cursor over any of the projects – it displays additional information. 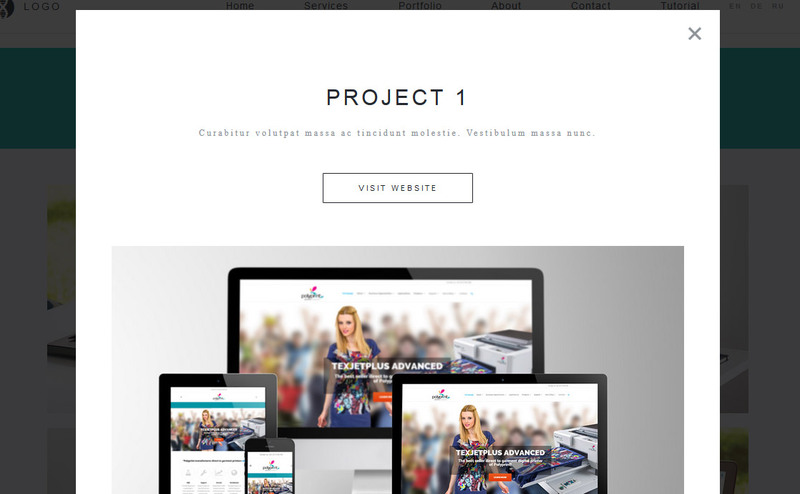 And when you click – a popup with more information about the project will appear, here you can put whatever you want (any html code) – text, images, video. Finally – two small sections of the map where you can specify your location and footer. They are loaded in the end of our ‘index.html’ file. Nearly all of them are various service libraries. In the last one (scripts.js) we added code for navigation (for smooth scrolling between waypoints), for magnific popup (that is used in Projects), bootstrap validation for ‘Contact us’ form. Also, here you will find the initialization of our slide show. // something to have when submit produces an error ?